This is a book I have long needed to read. 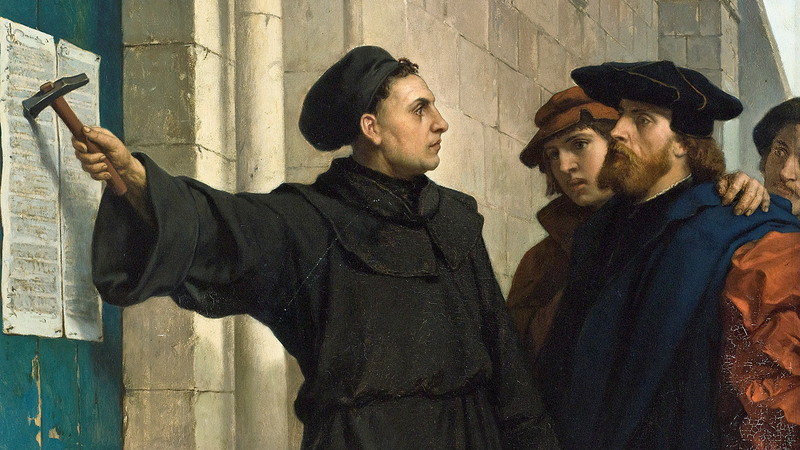 Martin Luther is in the top tier of 16th-century greats whose life, actions and works forever changed the landscape of Christianity and, therefore, all of Western civilization. Yet my knowledge of the man himself was scant and tainted. In Luther the Great, Lyndal Roper, Regius Professor of History at Oxford University, has provided a profound, unique and intimate understanding of Martin Luther “by placing him in the social and cultural context that formed him.” He has drawn from the wellsprings of psychoanalytic insights to provide a comprehensive embrace of the man whose revolutionary theology sprang from his very character. Roper uses a prodigious number of revealing primary sources and her expertise as a cultural historian to accomplish this feat. Among those sources are revealing letters both to and from Luther, his sermons, monographs, reported “table talk” conversations and more than 100 of Luther’s collected works. Add to those contemporary descriptions, reports and assessments by friends and enemies. Roper has painstakingly re-created the world in which Martin Luther was weaned, nurtured and fundamentally formed by love given and love withheld as he grew to full stature as a man. Beginning at Eisleben, where Martin was born to Margarethe and Hans Luther on Nov. 10, 1483 (and where he died on Feb. 18, 1546), Roper takes us about 10 miles to the mining town of Mansfield. Here Martin lived well in a family of comfortable means. His mother was an intelligent, pious woman, benign and a tad indulgent toward her eldest surviving son of six (possibly seven) children. Hans Luther, Martin’s father, was also religious, but his influence on his son was different. He was a strong, irascible, combative man who was clever and ambitious in business. He was also overbearing and exacting in a way that colored Martin’s entire life. Roper claims that this sometimes bitter relationship played a very important role in his religious and theological development. She is careful to note that it was by no means the total influence. Martin was a deeply spiritual young person who felt duty-bound to comply with his father’s wishes. Hans provided a good education for his son, enabling him to achieve a master of arts degreed at the University of Erfurt. The father wanted his son to become a lawyer. Roper maintains that his purpose was essentially self-interested; he planned for Martin to protect and promote his mining enterprises. Divine intervention, so young Martin claimed, changed all that. A trio of adverse incidents touched the emerging adult to life-altering effect. First, Martin was profoundly saddened to the point of melancholy by the death of a close friend; second, he felt he was cured of a serious accidental wound by calling on Mary, the mother of Jesus, to save him; third, and most important, he was rescued from a violent, menacing thunder-and-lightning storm as he was returning to Erfurt from Mansfield. Roper reminds us that 16th-century Christians strongly believed that the Devil caused the wild, turbulent conditions of these raging storms. Cowering with fear, Martin called out to St. Anna, the mother of Mary and patron of miners, vowing that if she saved his life, he would become a monk. She did and he did. Roper contends that in a major act of defiance and disobedience, Martin entered the Augustinian order at age 21. Hans claimed the whole event was a trick of the Devil. Later on, after he abjured his vows, Martin suggested this may have been the case. He did, in fact, suffer obsessive thoughts about the Devil all his life. He did, in fact, suffer obsessive thoughts about the Devil all his life. The rules and demands of monastic life weighed heavily on his conscience. From the descriptions we are given of his practice of consulting his confessor too frequently, we can infer that he was scrupulous. Roper insists that it was not his sexuality or concerns about celibacy that bothered him. It was more a kind of oppressive paternal authority. Eventually, it fueled rebellion and the affixing of the famous “Ninety-Five Theses” to the door of the All Saints Church in Wittenberg. These theses were, according to the customs of the time, invitations to debate. Their tenor, however, was tendentiously heretical. They attacked the penitential system of the church, with particular emphasis on indulgences and the selling thereof. They implied a denunciation of papal authority and, ultimately, the papacy itself. These theses were, according to the customs of the time, invitations to debate. As Roper describes him, his debating style was charismatic and his material substantial; but his manner of presentation included personal invective, bullying, acerbic, sometimes crude insults and loud recriminations. He was a powerful presence. Roper carefully avoids taking sides, but she greatly admires his clarity of thought and emphatically his heroic stance of speaking truth to power. It was, after all, a power that had the ability and the will to burn him at the stake. Tracing some of his thought to St. Augustine, the author takes us to a source of his theological belief that human nature was evil and then to his theology of salvation by faith alone in Jesus Christ and the revealed word of God, the Bible. Human nature by itself could do no good, and human reason was vain. From this vantage point, Roper explains what Martin meant by conscience: the individual’s internal knowledge of the objective meaning of God’s word, whose meaning is absolutely clear and plain. When he experienced this insight, he felt free at last, free from external parental constraints in all its forms. He was free before God because he came to identify himself with the Word of God, Jesus Christ, by incorporating that Word expressed in the Bible. Baptism and the real presence of Jesus in the bread and wine transformed into the body and blood of Christ in the celebration of the Lord’s Supper were the two sacraments that perdured in Martin’s theology. He lamented that many who claimed to follow his reformation did not accept the real presence of Christ in the bread and wine. He remained steadfast in that belief to the end. Oddly, Roper uses the word miracle in discussing what the celebrant does in this celebration. Apart from the poetical or rhetorical usage, Catholics and Catholic theologians do not consider that most important, indeed, momentous sacramental action a miracle. Catholics believe it is an everyday event effected by the will of Jesus Christ and the instrumentality of the priest. The consecration of the bread and wine into the body and blood of Jesus Christ is not verifiable by any natural means. Helpful illustrations abound with explanations in this fine work. Except for one short trip to Rome as a young monk, Luther’s entire life was circumscribed by a few cities in Germany. A map of 16th-century Germany would have been most helpful. Martin Luther was a great man. His mind had elements of genius. It was fertile, imaginative, artistic and prolific. He forced a church much in need of reformation ultimately to reform itself. In doing so, he split Christendom and splintered Christianity, with effects both good and bad. In spite of his dour, gloomy and cynical view of human nature, he had a remarkable and beautiful understanding of sexual love and human sexuality. Roper considers him a hero and a man of many parts. But she declares unambiguously he was no saint. His hatred for the pope and the papacy was vitriolic; and with equal vehemence, he leveled that vile sentiment at the Jews. It never abated. He carried anger with him until he died. Like his father, he was irascible, combative, overbearing and exacting. In a word, he was a renegade and a prophet. In reading this book I have come to understand and know Martin Luther much better. I admire him, and I am in awe of his stature in all that has unfolded from his time. I would like to have been a guest at one of his famous “table talk” dinners, but I don’t think I would have enjoyed being alone with him at breakfast. For all his foibles and overt deep flaws, Luther revived (after reading St. Paul) the jewel of God’s eternal and unconditional grace, the greatest gift of all. If we remember the grace and not the man, he would not be disappointed. The Rev. George T. Deas is a pastor emeritus in the Diocese of Brooklyn.